Size: 40mm Long X 22mm Wide, Includes 2 Crystal Points Wands. 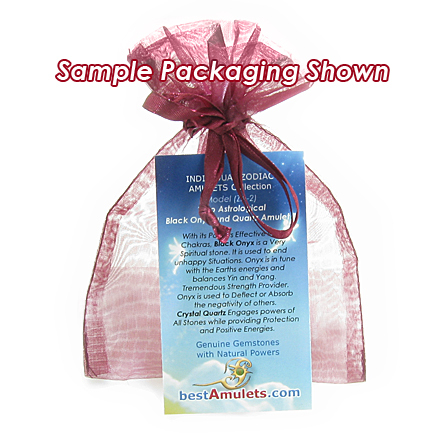 Only Genuine Gemstones are used and may have natural specks and inclusions making your Amulet Unique. Individual Crystal Points of Unakite and Rock Quartz Gemstones. Handcrafted with Love and no two Amulets are ever alike. 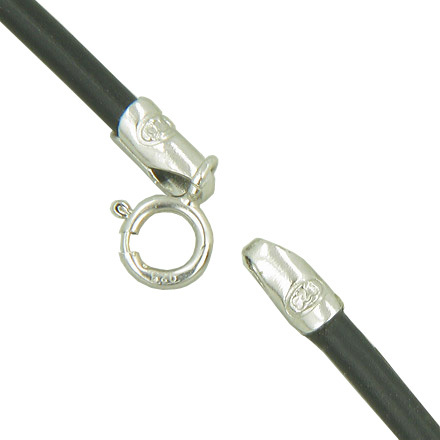 Comes with Very Popular 18" Black Rubber Cord and 925 Sterling Silver Buckle. This is Astrological Pisces Amulet, as it comes with Two Individual Crystal Point Wands for this Zodiac Sign and each holds different and Unique Energies and Forces. Gain Self Protection, Good Luck and Magic powers with this Fantastically attractive and one of the Kind piece of Jewelry. It is Made with Pure 12K Gold Filled Wire and will last forever. It also comes with Very Popular 18" rubber cord necklace, which has 925 Sterling Silver buckle and makes this Amulet ready to wear. Amulet is made with Love and Care and no two pieces are ever alike, making your Amulet as unique as it may get. This Amulet is Made from Genuine and Natural Unakite and Crystal Quartz Gemstones. Each is Handcrafted as Crystal Point wand and makes this Amulet very Special and Attractive. Unakite has loving, peaceful and calm energy to it. It balances emotions with spirituality. Unakite is a stone with gentle but powerful energy and brings unconditional love of humanity. It acts to balance the emotional body, bringing it into alignment with the higher forces of spirituality. Crystal Quartz Engages powers of All Stones while providing Protection and Positive Energies.